Kevin Boterman delivering Stella to Charlie Hill. Charlie is preparing her for the horse auction being held by the Ben Avery Mounted Shooting Center Development in March of 2013. Stella was donated for the auction by Prunty Ranch of Nevada. 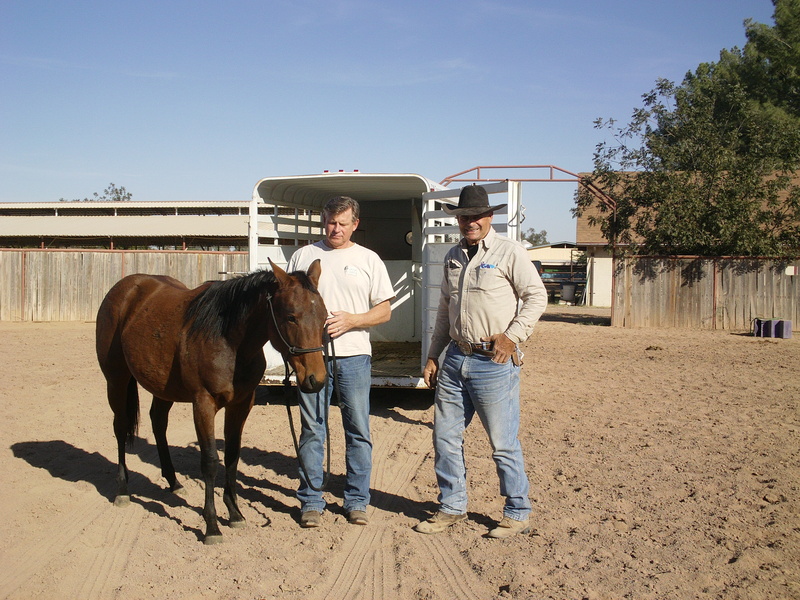 A big thank you to the Prunty Ranch, Kevin, and Charlie for all the work and time that has been put into obtaining and training Stella to date. She is a beautiful horse and I hear she is a quick learner and very willing to please. I am looking forward to seeing her grow and watching the progress she makes over the next several months with Charlie. Once again thank you for supporting the Ben Avery Mounted Shooting Center and sharing your horsemanship talents.